In 2 months and 15 days, I will be 40 years young. Even though I feel like I am in my twenties and in the prime of my life, ready, willing and able to take on the world, my health is at the forefront. Not just for cosmetic reasons but for longevity and quality of life. Many of us in the 40 and over club share this concern. So as an ex- personal fitness trainer of 8 years, allow me to shed some light on the subject for all of us. Okay, so most of my life I always had a flat tummy. Once I began weight training and studying for my ACE fitness trainer certification, I earned rock hard abs that many women would kill to have. It takes hard work and dedication to get them toned and defined. Your diet must be ‘clean’ as we say in the fitness world and you must put in the time and effort. I will go in depth about that shortly. Currently, I am at war with my body and have been fighting against its pursuit to build “Fort Bulge” right around my waistline. This new unwanted construction has been in effect for a year now but mostly due to my sedentary lifestyle. I do not know if any of you remember from prior posts, but I spent a year on the road with Jimmy( my love), who drives an 18 wheeler. I embarked on the adventure looking good and feeling great; it ended with me 20 pounds heavier and feeling achy and fatigued. Now that I have been home for three months it is time to answer the war cry. Whoever would like to join me in battle, I humbly invite you. We can take up arms together!!! If I had a dime for every time a new client asked me that question; I would not be rich, but I would have a nice nest egg for retirement. Detox!!! If you are putting junk in your body, it’s imperative to flush it out. Most people are not aware that we should clean our bodies periodically, it does not matter if you are a carnivore, herbivore, or vegan. Think of your body like your car; you tune it up regularly to keep your engine in good condition. Well, we must do the same for our body. There are many ways to flush your body, colonics, herbs and fasting. What’s most important is you choose what is best for you and consult your physician. Personally, I prefer natural herbs due to my fear of synthetic medicine. You have had a tune up now it’s time to put the good stuff. Vegetables, protein, carbs, water, water and more water. When you are changing your eating habits, there is a method to the madness. Fifty percent of your meals should be vegetables, 20% protein, 10% carbohydrates and the remaining 20% water. The secret that completes the formula is meal configuration. What to eat and when! Always and I do mean always plan for your heaviest meal around your most active time of the day. Consume your carbs at that time as well; they contain sugar and convert to fat. The body will use the sugar in carbohydrates for energy. For those who love a thick juicy steak or burger, I hate to be the bearer of bad news, but it’s time to cut back or stay away from fried foods. Remember we are at war not only against ‘Fort Bulge’ but also high cholesterol is lobbying for a seat. My plans are to go back to a vegetarian lifestyle. After over ten years of vegetarianism two years ago I started with chicken and graduated to occasionally eating red meat. Needless to say at first, I was very ill, but I was a glutton for punishment. Jimmy loves his pork chops and ribs; he will not be giving them up! Over time I developed acne, fatigue, headaches and gradual weight gain. Well, my friends, I am tired of being sick and tired. Pun intended!!! What is this thing called exercise? LOL!!! Let’s not make getting in shape more than what it has to be. No, you don’t have to give your right arm, leg, blood and your first born child to the exercise gods. That statement used to be an excellent icebreaker with new clients. I required newbies to do 45 minutes of cardiovascular training four days a week. Week two we incorporated exercises using their body weight. The third week, I put on my drill sergeant hat, handed them some weights and start teaching form. Suddenly in week four, drill Sargent Lydia is wielding a double barrel shotgun and barking orders. No Pain No Gain was the flag I erected in their minds, and they marched to my beat, happy about the what they hoped to accomplish. Not to pat myself on the back or anything but all my clients received results. Well, maybe a slight pat. Choose an exercise regimen that will be comfortable for you. A trainer and the gym is not for everyone. At this point, my workout consists of Zumba and Yoga classes with an occasional workout with light weights at an all women’s gym. Just get active. Physical activity will guarantee great results but also increase your energy. I’m afraid if I don’t start now while it is bugging the hell out of me, I will get complacent. Putting off until tomorrow what I should start today. 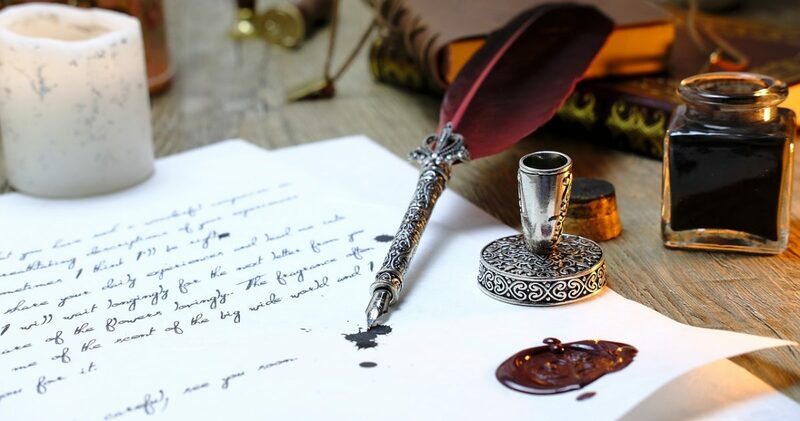 So as I embark on my journey, I invite others to join me. I am here for advice or encouragement, just comment on this post or email me personally at lydiaoyetunji77@gmail.com. Whom… They ask is this woman? A woman with a free spirit soaring high like an eagle. A different kind of girl, the oldest of four known as the sickly child. Her “Scarlet Letter” came in the form of illness. Once in pigtails wrapped with ribbon, ruffled dresses, frilly socks and patent leather shoes that could be heard miles away. Girls are made of sugar and spice and everything nice. That’s what this little girl was made of. A dainty girl blossomed into a beautiful woman with unusual interests. The little princess started to evolve. No longer confined to a bubble by what ailed her. The spirit of healing breathed new life into this woman. Leaving behind a new lease on life and the need to go against the grain. What mattered now was the need to feel alive and embrace her true self. The sound of combat boots on the black top as she marched and sung in cadence was sweet music to her ears. Intrigued by the kick- back from a M-16 rifle against her shoulder. Feeling sore and bruised was a welcomed reminder of the prior day. The metamorphosis of her thought process was underway. Her physical strength allowed her to not be seen as weak in the eyes of her male counterparts. Mentally strong enough to know her limitations but not limited by their beliefs. Owning the ability to draw firm lines in the sand that they did not and would not cross. Thrill seeking became the norm. Harnessed, tied to a line and dropped into the ocean from a DDG Class Destroyer. Sky diving or feeding a need for speed with the Nascar Experience. Kamikaze or on a mission to fulfill lost childhood adventures? This woman was doing what most woman wouldn’t. Living out what some only dream about. Settling for what was the status quo for a female was out of the question. Pointing, stares and whispers about how she was not on the beaten path no longer mattered. Paying tribute to Buzz who assisted in the journey. An old love whom she helped rebuild the engine of his 1970 Ford pickup. Turning her into a grease monkey with manicured nails. Tinkering with a Fat Boy Harley and going on long rides to play Texas Hold’em revealed the inner biker chick. It’s the subtle things that build confidence and with that she became more powerful in her own right. The unusual life continues as a truckers’ wife. Living out on the open road six days a week is not for the faint of heart. This woman’s versatility allows her to drop landing gear, tend to air lines and plot routes. There is no structure as a truckers’ wife and danger can be around any corner. One of many women kicking in the door to clubs exclusively for men. These rare women refuse to be followers and are determined to change the world. Versatility is her crown and everyone must pay their respect. This type of woman is no longer afraid to stand up in the crowd. Simply fitting in works for some, many are called but very few are chosen. If you are different be who you are and live life on your own terms. Celebrate Life…. National Breast Cancer Awareness Month. October is National Breast Cancer Awareness month. It’s important for me as a woman and a blogger to join in on the fight and build awareness. This subject is not only important to me but to other women and men who are affected by breast cancer. I heard that forty was the recommended age for mammograms. Although, this morning while watching the Today Show, the American Cancer Society says 45 is the age to start getting mammograms. The constant change in recommended starting age for mammograms can be confusing. As my 39th birthday approaches I tend to be more health conscious than usual and breast cancer is not something I or any woman would want to take lightly. 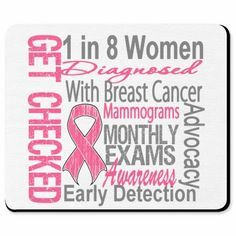 Practicing monthly self-exams are important, mammograms have the ability to detect what we cannot see or feel. The best method of early detection! Yesterday, I visited http://www.nationalbreastcancer.org to do research and to further educate myself as well as my readers. The National Breast Cancer Foundation website is very informative. You have the ability to gain knowledge on the stages and types of breast cancer, read survivor stories, donate and create an “Early Detection Plan”. I created mine and advise other women to do the same! It’s a great way to be proactive when it comes to our health. You will get reminder emails to do monthly breast self- exams as well as the proper way to do them. It truly taught me a few techniques I did not know. Schedule your clinical exams and your mammogram ahead of time. I scheduled my mammogram for February 14, 2016, I plan to stick with my original schedule for forty as my first mammogram. It’s a month after my birthday, I just felt that is the best Valentines gift of love to myself. I did not have knowledge of this statistic before signing up on the National Breast Cancer Foundation website. I learned that benign tumors start as damaged cells that can become malignant tumors that are cancerous. My mother detected her tumor when it was the size of a dime she stated within a week it was the size of a golf ball. Thank God when she went to the doctor it was benign that was eight years ago. Early detection works miracles!!! Uninsured? The National Mammography Program partners with medical facilities across the country to provide “FREE” mammograms and treatment. That is true blessing to those who cannot afford health insurance or treatment. Our donations are truly saving lives in many ways! There are so many ways we can help, donate $100 to provide a mammogram for a woman in need or conduct a fundraiser. Visit the website to see all the options available. Janelle Hail is the founder and CEO of National Breast Cancer Foundation. On the NBCF website there is a link to her blog Live Life with Janelle Hail who is also a survivor. Her story is absolutely wonderful, I’m personally grateful for her foundation. I love the transparency of her blog, Janelle Hail encourages other women who are fighting breast cancer to share their story. 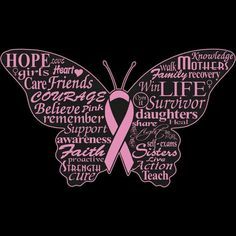 As a woman who does not have breast cancer I find her story and the stories of other survivors very inspiring. 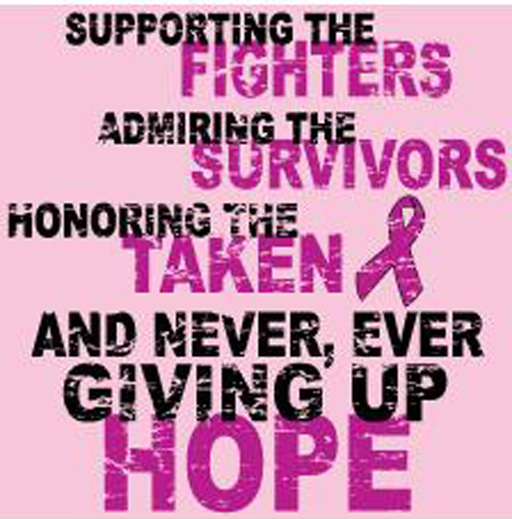 Take time today to visit the NBCF website, celebrate the life of others by giving or your life by signing up for the early detection plan.